For the record, for people asking about how to achieve perfect skin, trust me I am not one of the bloggers to claim that they have perfect skin. I have enlarged pores on my cheeks, I get the occasional whitehead and cystic acne (I have one now on my cheek. Ouch!) And my cheeks always have some hyperpigmentation from healed acne that appears and fades. I guess the biggest thing I focus on is the health of my skin over the appearance of it, which is what will help you long term. It's funny, when I went to the dermatologist a couple years ago shortly after my acne started healing, he mentioned that I have really good skin texture and I thought, "YES!! See? I WAS taking good care of my skin underneath. I did NOT have acne because I was dirty or wasn't taking care of my skin!" I'm sure a lot of you acne sufferers can relate. Nobody needs to be on their high horse for having clear skin and nobody needs to feel like trash for dealing with something so temporary hurting their face. In today's world, there are seriously SO many ways to treat acne that nobody should need to suffer. GO to a dermatologist and stick with a single regimen for at least 4 months. You will not regret it. I only regret waiting so long. Ok, now that my big rant is over, here is what I am currently using for my skin. -I don't love this, it's just okay. 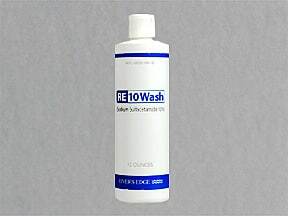 I don't feel like it cleans as well as my prescription wash.
-Oil-free with SPF 15. Love it! -Prescription zit zapper! LOVE it, plus not as harsh as over the counter benzoyl peroxide meds. I may or may not put on mineral foundation after this. Usually I just use finishing dust to put the oilies at bay and use blush on my cheeks. Blush helps camouflage discoloration enough for just a typical day. My skin motto is less is more! I reserve liquid foundation strictly for photoshoots, and I never leave any foundation on overnight. -My favorite face wash. Prescription and super gentle. I get a huge bottle for $10 with my insurance, so it turns out to be cheaper than OTC (over the counter) face wash! 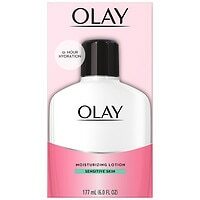 For moisturizers, I've been switching around a couple different ones. -Light weight and very basic. No smells, no dyes, and feels nice. -Oil-free gel. Nice for hot weather when you don't need serious moisture. -Prescription retinoid cream. I use the CREAM not the gel. It's still a gel consistency though. This is what keeps my skin looking young and healthy. LOVE this stuff. The doctor said I can pretty much use this forever, and it will help keep wrinkles away because it helps to regenerate skin quicker. Hello, fountain of youth anyone? I also take birth control, which I started for my acne and now just use because I'm married and don't want kids yet. Previously, I took Yaz but decided to switch back to Tri-Sprintec (generic for Ortho Tri-cyclen) a couple months ago. Boo to birth control transitional acne, that's probably where this cystic one came from, but hopefully Tri-Sprintec will be better for me in the long run. That's it! See? Very basic. Face wash, moisturizer, topical cream. I avoid toners because my dermatologist said it's mostly a gimmick that makes you FEEL like you are extra clean, but can actually dry out your skin because of the alcohol content. I also use an eye makeup remover (Lancome Bi-Facil) at night but the facewash cleans the remaining residue off. I'm pretty comfortable with my current regimen. It's easiest on your skin when you don't change things around too much and it's been working for me. Hope that helps and best of luck! i've just started getting into taking care of my skin properly.. now that i'm getting a bit older, i have to take care of it! Thanks so much for the post Jen! I've battled with acne since I was a pre-teen, and only now that I'm in my mid-twenties, can I say that I'm happy with my skin. I agree, the simplest routine is the best. Also, being patient. There is no cure for acne, it REALLLLY takes time and the right skin care routine specific to your needs. Thanks again! DO you have the pitted scars from your cystic acne in the past and or how do you deal with them. As for me, I started having the cystic kind , only a few at a time, but it has left awful scars behind.I am so sad about it because why at 20 would I have those and not when I was a teen. I had the regular whiteheads and minorpimples but the huge ones from below hurt like heck. What shall I do? Thanks in advance. hi Jen!!! i <3 <3 <3 your site!!! i have been reading for a few months now and ALWAYS check for updates! i keep forgetting why i originally sign onto the internet and get stuck on your site! luv the tutorials, videos, and everything you blog about!! it has all been so helpful!! just the other day i noticed i had a cystic acne bump! boo =( i didn't realize it was from the birth control i had recently started taking until i read this blog! keep up the great work and never stop updating!!! you are a super duper cutie!!! sooo happy i found your site!!! is it sensitive? acne prone? oily or dry? thank you for sharking this, your skin looks really nice! i do use tonners but i make sure that they don't have alcohol in them. do the UD 24/7 pencils work on the waterline and tightline? Your skin looks so nice and clear, very healthy. I'm jealous! Thanks for sharing your skincare routine, I just blogged about having bad skin =( So your post has helped me! sylvia: Old! You are much younger than me!! Don't make me feel too old by saying you are getting older. Haha! Diane: Cycstic acne doesn't leave pitted scars on me. I thought that pitted scars usually come from people picking at their acne enough to leave a lasting pitted scar. If you don't pick your acne and let it heal you shouldn't get bad scarring. I could be wrong though, so it's best to see your dermatologist and ask about it. Kanna: Yes, Differin is for acne, but since what it does is regenerate the skin faster, it also does help with wrinkles. Your skin looks more youthful all around. And your skin has to get used to it first, so mine didn't begin improving my acne until after 3 months of regular use. cherrygirl: I'm not really an expert on Korean culture! But tell me what you would like to know and I'll try to answer it the best I can. maddie: Yes, 24/7 liners work on the waterline. Ive been using clinique moisture surge also and so far I dont have any problem with it. hey, i am new to your site..its amazing! Just wanted to know how often do you use differin? like everyday, morning and night? I was wondering whether you use a sunscreen and if yes, which one? You're one of the rare beauty bloggers who had previously suffered from acne and is now 100% clear with gorgeous skin, so your advice would really mean a lot to me. Can one use Differin under eyes? This is where our wrinkles start and then a fountain of youth is needed =) but the skin is so soft and thin... Maybe when you mix it with Cetaphil? I love it, deep moisturizer with macadamia nuts oil, from Galderma. I use a cream called Smooth-E. My mom always brings me some when she visits family in Thailand. I've found it works very well for my skin. I have dermatitis that causes flaky skin around my nose and this has helped dramatically. I also get cystic acne, and it has reduced the hyperpigmentation on my face. I also use the cream as my body lotion at night, and have found it reduced the appearance of a scar on my shin that I got from scraping across a rock. Whenever I feel a pimple coming along I use the Clearasil Pimple Blocker Pen and it does a great job. Hi I also recently went to see a dermatology after reading your blog. She give me Retin-A 0.5%. She told me Differin is milder but she wants my acne to clear up so I have to be prepared for the peeling and all these stuff. Now I am applying Retin-A on my T-zone for the time being and Doc told me to use on my whole face on alternate days after 2 weeks. So I hope my face will be better cos I spend a lot of money on this Doc....sigh. Oh one more thing, did your doc tell you what is the cause of the acne? Mine told me the culprit is the makeup remover (especially the cleansing oil type), sunblock and she tell me not to go for facial, don't use srcub and mask on myself. Sorry Jen, where can I buy Differin Cream?